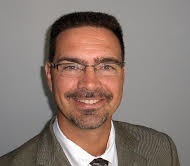 Originally from Greenfield Park, Quebec, Dr. Sylvain P. Leblanc, 17192, enrolled in the ROTP in June 1985. Following his enrollment, Leblanc went to CMR St-Jean before graduating with a BSc in Computer Systems. He received his commission in 1990 and became a Signals officer. In 1998 Leblanc began his post-graduate studies at RMC, graduating with a MEng in Software Engineering in 2000. 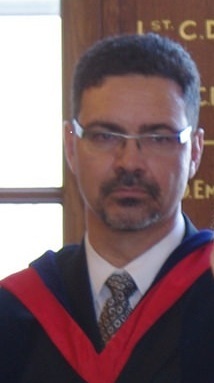 Finally, in 2014 Leblanc received his PhD in Electrical and Computer Engineering from RMC. He is currently an associate professor in the Electrical and Computer Engineering Department of RMC, where he is also an investigator in the Computer Security Laboratory. His research is in the areas of computer and network security and operations research. Throughout his twenty three year career in the CAF, Leblanc served in a number of different positions. Including: the Special Service Force Headquarters and Signal Squadron (SSF Sigs) as C Troop Commander; OIC of the Brigade Tactical Headquarters with the Airborne Battle Group; was a team member for the 1992 demonstration season of the Canadian Forces Parachute Team (Sky Hawks); Service Battalion (2 Svc Bn) as Regimental Signal Officer, before serving a year as Second-in-Command Administration Company with 2 Svc Bn; then to the Canadian Forces School of Communications and Electronics (CFSCE), as a member of the instruction cadre and Adjutant, and finally he was posted to 79 Communication Regiment as Officer Commanding the Rapid Deployment Squadron. In short, quite the military career. Since the year 2000, Leblanc was a member of the military faculty at RMC in the departments of Business Administration, and then Electrical and Computer Engineering. After his retirement from the CAF in 2008, he has remained at the college as a civilian professor. In addition to his regular duties as a professor, Dr. Leblanc is often seen and heard as the Master of Ceremony at many of the high profile events held at RMC.